Built just before WWI in 1909, the Arlington purportedly housed Edmonton’s first serial killer James “Bluebird” P. Watson, who lived in the Arlington from 1914 to 1918, killing nine of his 20 victims during the same period. He resided in Suite 14. He ran a collection agency in Edmonton from 1914 to 1918. His love letters were found in a storage locker at the Arlington and were used as evidence in his trial in California. 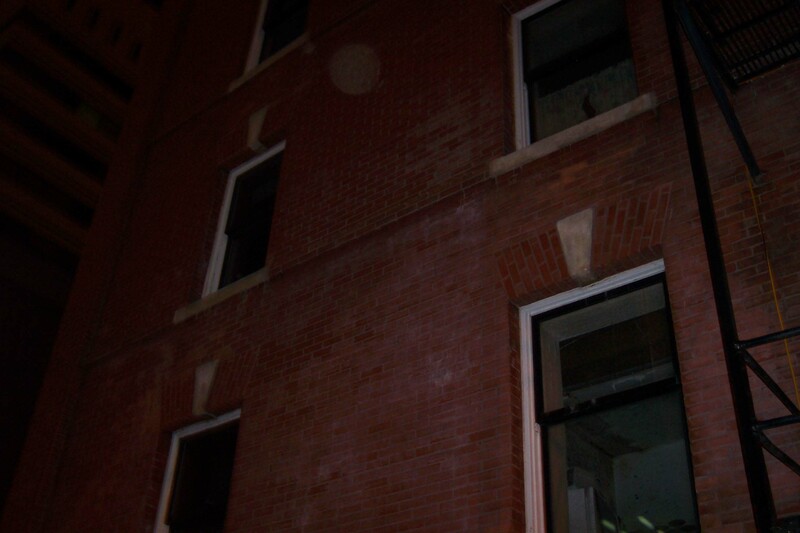 In the 80’s, a group of practicing black magic witches allegedly lived in the building and were evicted from their apartments. A building supervisor was downstairs in the boiler room after the group left and apparently found little hex dolls of everyone in the building, with something personal from each of the tenants bound to the dolls. It was reportedly in a hidden panel in the wall. You wonder what they were so pissed off about or maybe they just had no sense of humor with their neighbours. 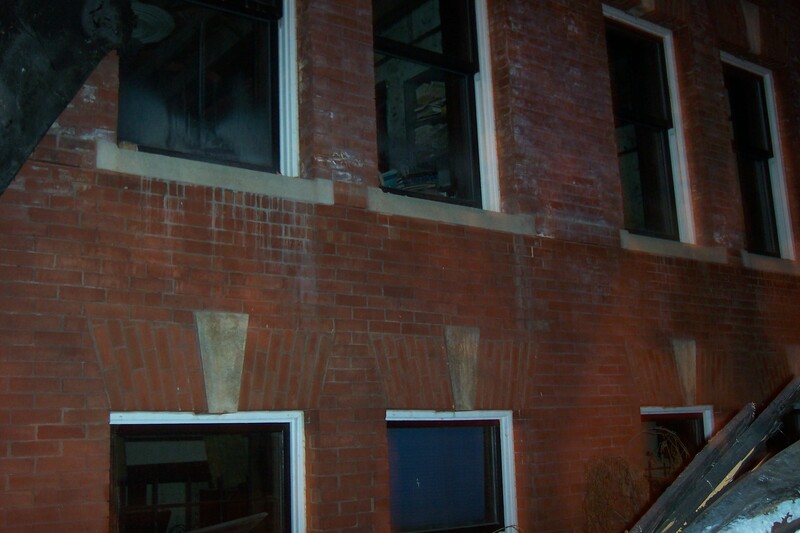 The Arlington Apartments suffered a suspicious fire on April 5th, 2005 and eventually in 2008 it was torn down when it was deemed unsaveable. Since it was a historical building, it was very sad to see it go. I never had the chance to enter it, but I did take photos at night, and had some unusual phenomena. It felt as though there was a couple of beings watching through the windows. 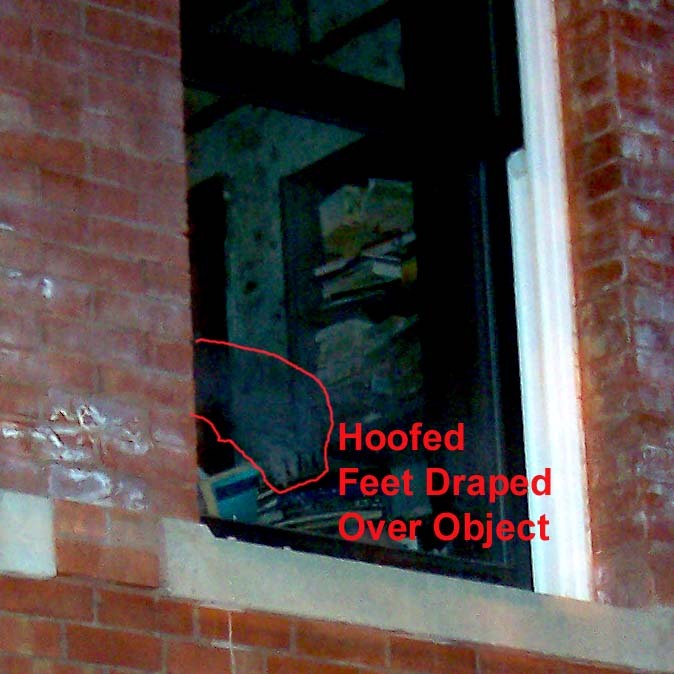 The hoofed beastie thing in the picture is just one of those odd spirits that could be there because of the negative witchcraft in the apartments. We would have loved to be able to have conducted a paranormal investigation in the Arlington. I have no doubt we would have come up with some amazing stuff.